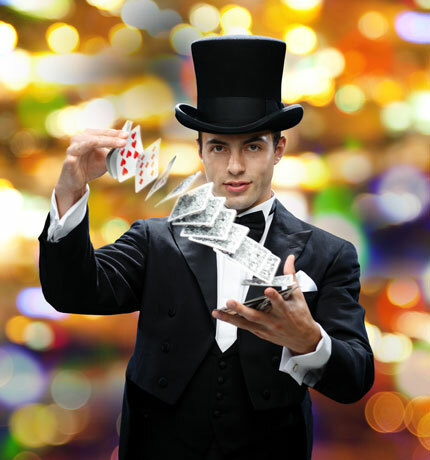 Many entertainers such as magicians or balloon artists start out as people who love crowds and entertaining. Or, an individual may have a striking resemblance to a fictional character such as Santa Claus or a princess. This hobby can quickly grow into a business that provides a source of income for what you do best. Helping you protect your business is what we do best. Protection for someone slipping and falling over a prop or one of your items while entertaining. Protection for errors that you make in the course of doing business that cause financial loss to others. For example, you incorrectly schedule to perform at a birthday party on Saturday when the event is on Friday and you are double booked. Professional liability would provide coverage for any extra expense that the host incurs in finding substitute entertainment at the last minute. Balloon artists beware of choking hazards - Do not give balloons directly to children under three. Tell children not to put balloons in their mouths. Be sure to pick up and dispose of any burst balloons. Ensure that your backdrops, tables, and props are secure - Injury can be caused by falling objects. If you are utilizing props and backdrops in your performance, be sure that they are secure. Ask permission when dealing with children - Kids may have allergic reactions to face paints so always ask parent’s permission before doing face painting on a minor. Also be sure to disinfect brushes between customers since the brushes may spread a contagious rash. Avoid physical contact - Unless you are given express permission, avoid any physical contact with your audience members to avoid claims involving improper touching.